The French social security authority (URSSAF) has taken legal action against Uber, claiming social security contributions on the basis that its drivers are employees, not independent contractors as Uber insists. 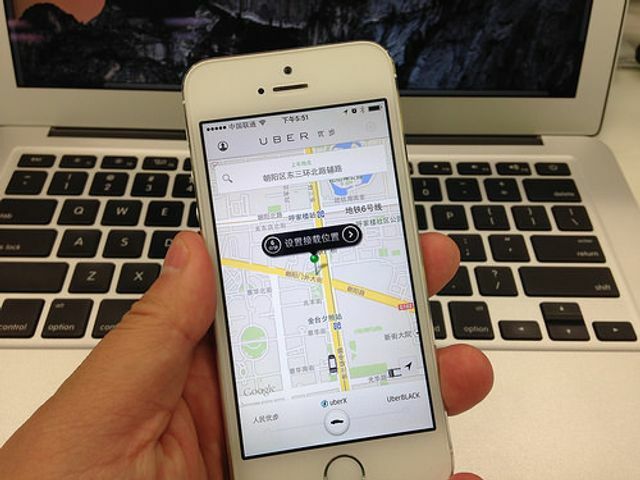 Two proceedings against the ride-hailing app were launched in this regard, one before the Social Security Court (TASS) for the recognition of the “employee” status and the payment of a significant amount of contributions, and the other a criminal lawsuit for illegal work accusing Uber of misclassifying its drivers to avoid having to give them what they would be entitled to under employment law. This is not the first time that Uber has been confronted by such issues. In April of this year, the company settled a class-action lawsuit in California and Massachusetts that had been brought by nearly 400,000 drivers. But it is the first time, to our knowledge, that an authority has decided to file a claim against the platform. In previous cases (eg in the US, but also in the UK) the initiative was taken by drivers or ex-drivers. The URSSAF believes that Uber drivers cannot be considered as self-employed, given the numerous rules that the US-based company imposes on its drivers, including the prohibition to contact passengers at the end of a ride and requirements to be alone in the car while “online” (ie working for Uber) or to accept guide dogs. A failure to abide by these rules may result in suspension of the collaboration. Reserving the right to impose sanctions in such cases can indeed be seen as a typical feature of an employment relationship. However, the URSSAF has to prove that such a relationship actually exists between Uber and its drivers, and this is far from simple. For its part, Uber strongly disputes the merits and correctness of the proceedings, arguing that its drivers are not bound by exclusivity and have complete autonomy over their schedules. Uber sees the platform as a system to help people looking for ways to supplement their income and states that a majority of its drivers in France opt to join Uber precisely in order to enjoy more freedom and less control from the employer. It looks like neither drivers nor Uber therefore wish to establish an employer-employee kind of relationship. If the judges rule in favour of the URSSAF, the consequences could be revolutionary for Uber and other collaborative service platforms. If Uber had to pay social security contributions and abide by a range of requirements governing employee protection, it would be much more difficult for the company to ensure abundant supply at lower prices – at least in France. Uber might need to reduce significantly the number of drivers, introduce an exclusivity clause and raise prices. As of today, it's hard to tell who will prevail in this dispute. A further dimension is about to be added to the discussion, with the European Commission set to publish guidelines for European national governments in dealing with sharing economy companies. The Commission will encourage some of the stricter national governments such as France not to ban or limit the services of sharing economy companies, and will aim to harmonise national regulations throughout the European Union. At the same time, the Commission will apparently propose that companies such as Uber which do not allow their operatives to set their own prices, or which compel them to accept customers, should be regarded as having an employment relationship with those operatives. While the Commission's general support for sharing economy companies will be welcomed, the suggestion that Uber drivers might be considered as employees will continue to be a matter of vociferous dispute. Note that the highly disputed French draft labour law bill (also called “Loi travail” or “Loi El Khomri"), in its current version, suggests setting up a legal framework for workers using collaborative service platforms - such as Uber - and provides that the mere use by those workers of said platform shall not create a link of subordination between the workers and the platform, which would be a prerequisite of an employment relationship; in other words, the French Government considers these workers as potentially being self-employed. The latest legal challenges, which could take more than five years to work their way through the country’s legal system, add to Uber’s significant problems in France, its biggest market in terms of revenues outside the US.